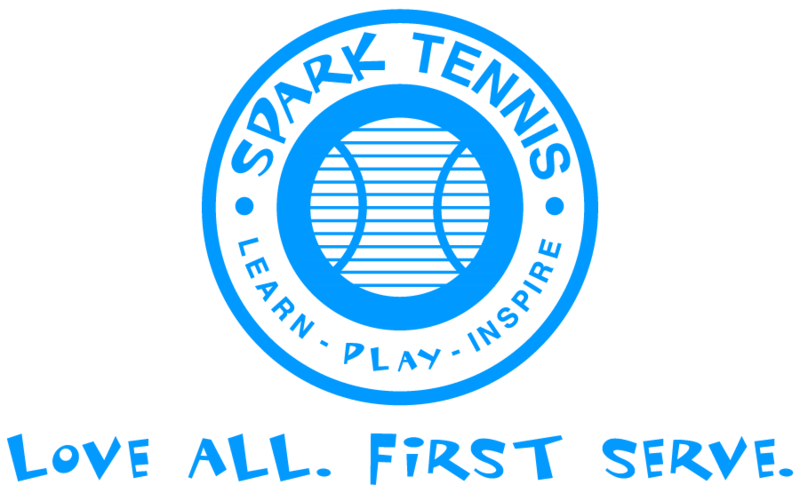 The first Spark Tennis principle is “Learn“. Why is learning so important? Continual learning is key to growth in tennis and every other area of one’s life actually. Let’s face it– there are a lot of skills just waiting to be acquired by those who are drawn to them. If you are interested in growth as a tennis player or as a human in general, rekindle your joy of learning and have fun becoming better each day!! When I was growing up in a small town in Texas with no country club memberships or access to tennis centers, my best introduction into tennis was watching the USA tennis greats Pete Sampras and Andre Agassi on my non-HD TV. To be quite honest, I had no idea what what going on (I played football and baseball), but listening to the commentators and watching for clues of what the heck they were talking about, I started to pick it up. Back then, even non-tennis fans in the U.S. knew the names “Pete Sampras” and “Andre Agassi”. Today, however, beginning players have an upper hand. There is soooo much information at your fingertips or in your pocket that can teach you (even in slow-motion) how to hit every stroke in the book (and some that are not in the book at all, ala Monfils and other tricksters). This is a huge advantage to today’s beginners, and I sure hope you guys are taking consulting the massive amounts of digital video on the web or on your DVR. Want to hit a “Federer Forehand”? Simply type “Federer Forehand” into YouTube and you’ll find all sorts of results including super slow-motion analysis of every part of the preparation, swing, and follow through. Wow. I heart technology. So, pick your favorite professional player and become a student of their mechanics and playing style for ideas of how you can construct your own game! This is practically free and something you can do right now. So, if you have a friend on your team who is better than you at a particular skill (or entire game), why not ask for a tip? If they are truly a friend, they should be happy to help you. Also, if you happen to be the best player on your team, please help the ones less skilled than you 🙂 ! This is good for the team and overall a good-karma thing to do. So, if you really want to accelerate your growth in tennis, I highly recommend taking at least one private lesson with an instructor you like and trust. Yes, I know private lessons can be sort of expensive, but if you learn 3-5 tips for a single lesson AND practice them on your own time, you will be much farther ahead (in theory) than if you continued to practice the same (bad) habits over and over until you yourself realize there must be a better way. If I had this available to me growing up, I would have had private lessons. Instead, I sort of lucked out having a knowledgeable high school tennis coach who was more than happy to work with a good student, but even then our practice time was limited by UIL rules and such. It’s no secret that professional athletes as well as high-performing amateur players put in lots of work off the court. It’s this extra training which makes a big difference on-court. Learn to strengthen your legs, core, arms and heart to expand your game to new levels! If the ball bounces twice, lands outside of the bounds of the court or lands in the net, the rally or point is over. Generally speaking, the tennis stroke is “low-to-high” with a slight brush up on the ball which helps the ball to go over the net and also come down into the court (topspin). There are 4 basic strokes in tennis: forehand, backhand, volley and serve. For a basic rally, you only need a forehand and backhand. If you intend to play a tennis game, you will need to learn how to serve as well. A match is made up of one or more sets, which are made up of games which are made of of points. The number of sets and games in a set vary, but usually people play “two out of three sets” with a set being first to six games. A game starts with the first point at 0-0 or “Love-Love” or “Love All” :). The points are scored in series like this: Love, 15, 30, 40, Game. Some beginners find it easier to score using simple numbers like 0, 1, 2, 3, Game. It’s up to you. If both players reach 40 in a game, then this is called “Deuce” with just means, 40-All and they are tied and nearing the end of the game. Now, tennis games can be played with “ADD” scoring or “No-ADD” scoring. In No-ADD scoring, the next point following 40-ALL (or Deuce) decides the winner. ADD scoring is slightly more complicated, but not much. Advanced match play requires physical, mental and emotional strength. Emotional: the best tennis players know how to keep their cool, self-motivate and keep their focus from warm-up to handshake. There is so much you can learn by watching the best players on TV or YouTube. Things like shot selection, developing the point, foot work, sportsmanship and what it takes to be a true champion. Advanced players are never done learning or improving their skills. At this point, the player is striving for their own personal best and seeks to play great tennis more than simply winning. In fact, getting beat is a great match is a motivator to the advanced player and an opportunity to learn and improve.